5-JAN-2016: Russian translation (by optimuspraim14) added. Scold interaction now only appears on non-greeted inactive sims if the active sim is in a tense or angry mood, or if the sim has one of a few (tunable) traits. Putting a guest on Time Out actually works now. 13-SEP-2014: Italian translation (by Sim mania) added. 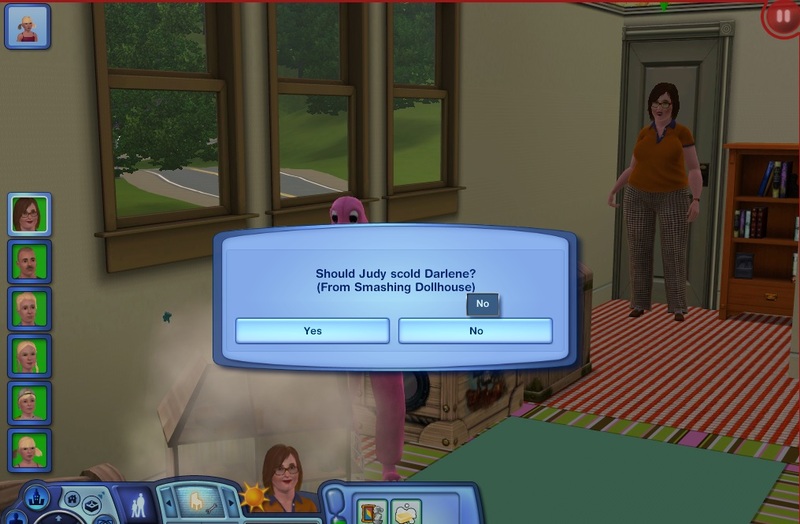 The mod also adds a custom Punishment... interaction menu on all child and teen sims that lets you choose the type of punishment to perform as and whenever you see fit instead of letting the game decide for you. 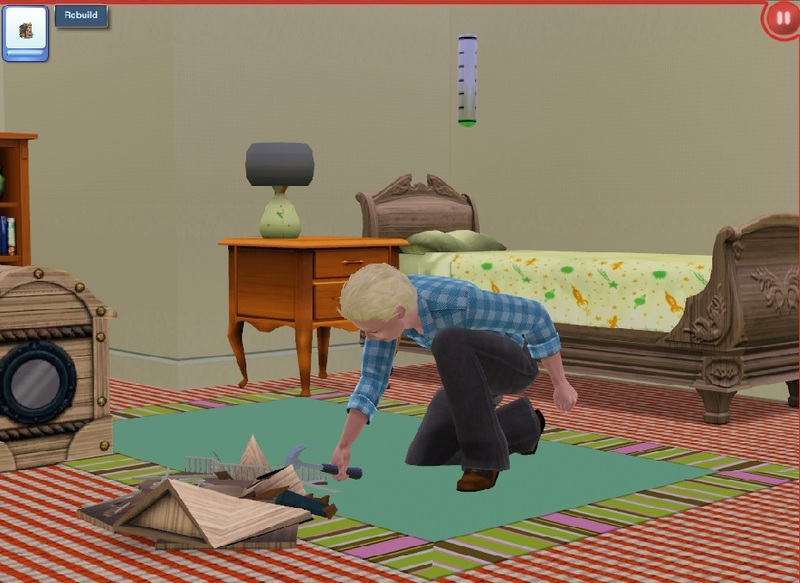 Time Out: Sends the sim to sulk in a corner for a while. Ban Objects...: Choose a type of object on the home lot to ban the sim from using (which usually the game would randomly choose for you). The list will show you specific objects on the home lot, but if you choose a computer for example the sim will be banned from using ALL computers on the lot. Note that you can still only ban one object type at a time. Sims can only be punished/forgiven by a sim in an age group older than they are. So you can have teens scold/forgive a child, but not other teens. 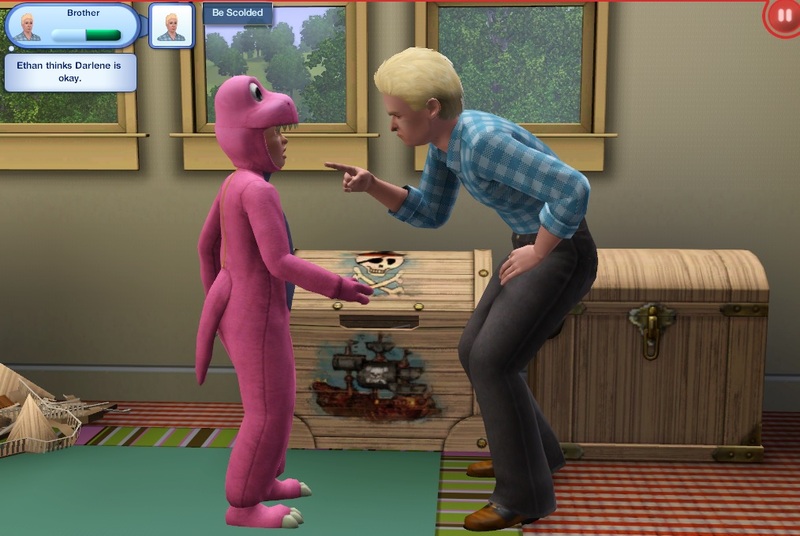 Sims will use the more suitable "admonish" animation (the one pictured above) on children instead of the default yelling one, unless they have certain traits (tunable). The animation only works on children though, so teens will always receive a yelling when being scolded. 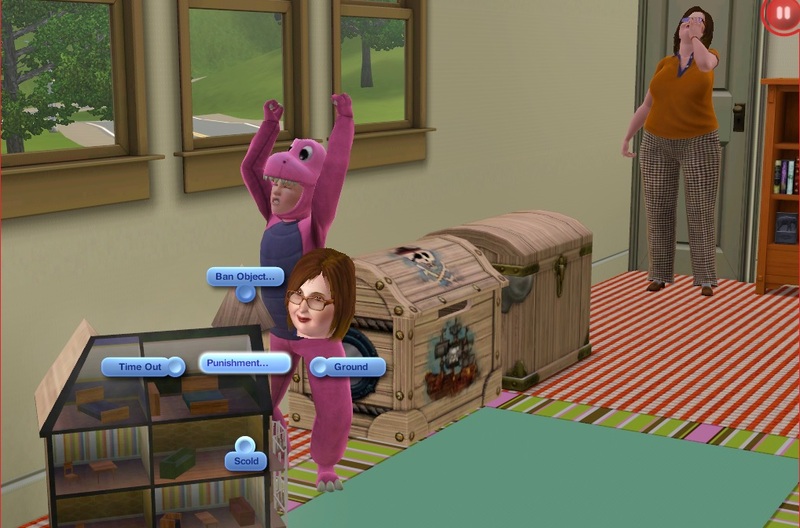 The package contains an XML tuning file labeled ScoldingTuning where you can turn off the pop-ups (which also automatically stops sims from being forced into scoldings by the game), define the traits that make sims yell at children when scolding them and change values pertaining the repair time and Handiness skill points received when Rebuilding Doll Houses. If you want to tune the Punishment... interactions, they all use the ScoldSmasher_Sim ITUN (to save me from having to provide a custom one plus that original interaction becomes redundant with this mod) which the mod DOES NOT override, simply borrows, so no fear of conflict there. I've not explicitly blocked sims from scolding other sims autonomously (all other punishments besides basic scolding are strictly user directed only) but since there's nothing in the ITUN to encourage them to do it it's highly unlikely they will, but you can make your own package overriding the ITUN to change that if you want. This is a script mod which should not conflict with any other other mods (unless you have one editing the ScoldSmasher_Sim ITUN which is probably highly unlikely). The mod is translatable, but you'll have to open the package with either S3PE, NRaas Packer or s3se to see the STBL strings to translate. There shouldn't be much there since I tried to use existing game text where possible (the line describing the act of misbehavior in the pop-up is always taken from the corresponding Got In Trouble moodlet for example, so excuse me for it not making perfect grammatical sense), but if you're willing to provide one feel free to contact me via the comments. 1479 people have said thanks to icarus_allsorts for this download. Fixed and Updated "Working Bulletin Board"